This skincare product in the form of a foaming cleanser claims to deeply and mildly use glycolic acid’s exfoliating capacities in order to eradicate dirt and other impurities. This leads you to have a cleaner, more vibrant skin that’s also refreshed. Mario Badescu Glycolic Foaming Cleanser’s formula is intended for dry skin, which leaves a revitalized sensation due to the natural herbs in the product’s formula. What are the Components in Mario Badescu Glycolic Foaming Cleanser? Sodium Lauryl Sulphate – this organic ingredient is typically used for cleaning and proper hygiene functions. It also serves as an emulsifier and helps in making the product lather. Achillea – flowering plants that originated in Europe and some parts of Asia and North America, Achillea is also commonly known as Yarrow. Its extracts are usually used for cosmetic products because it is believed to address skin dryness and peeling by freshening up the skin. Glycolic Acid – this colorless and odorless substance can be dissolved in water. It is a familiar ingredient in the skincare industry because it is often used in many skin products. This is because glycolic acid is efficient in getting rid of dead cells. This leaves the skin with an improved texture while feeling refreshed as well. In addition, glycolic acid helps remove skin discoloration caused aging, sun exposure or acne. Chamomile Extract – another familiar name in skincare products, chamomile here comes alongside Flavonoid and other compounds that have oils to soothe sensitive skin. It is also being asserted that this extract possesses anti-inflammatory traits, which can help relieve the skin as well. This skincare product removes dead skin cells leaving the skin smoother and more refreshed. This is made more possible by the inclusion of Glycolic acid in the product’s formula, since this ingredient is known for its exfoliating potency. Discoloration of the skin is also addressed by this product. Because there are natural extracts in this skin cleanser, it helps the skin feel more relaxed and invigorated. This product can penetrate deeply to effectively cleanse. It can eliminate dirt and other bacteria from the skin. It disintegrates layers of dead cells for effective cleansing. It treats minor discolorations of the skin brought by acne, etc. Put a small quantity of Mario Badescu Glycolic Foaming Cleanser into your palm and apply into the skin. Rub in round rhythms and avoid contact with your eyes. After this is done, rinse with warm water and pat dry with clean towel. You can also apply a cotton ball immersed in toner or astringent. The product is recommended for a 2-3 times use per week if your skin is oily. If not, 1-2 times per week is adequate. 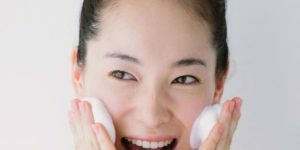 Is Mario Badescu Glycolic Foaming Cleanser Effective? The company claims that the glycolic acid involved in the product’s formula can ensure positive effects by eliminating dirt and other impurities like residue from make-up. Glycolic acid is said to be also helpful in getting rid of dead skin cells from your skin’s surface, as well as in curing slight skin discolorations brought by aging, sun exposure or acne. Thus, it’s no wonder many users are satisfied with the product based on their feedbacks. Nonetheless, it is also likely that you’ll experience skin breakouts as well. Mario Badescu Glycolic Foaming Cleanser is not expensive yet not cheap. It’s priced at $16 for a 6 ounces container. On the other hand, the product is expected to last longer since you don’t need to use it daily. If Mario Badescu Glycolic Foaming Cleanser has positive effects on your skin, its $16 cost is definitely a value for money. If you have a normal skin then adverse reactions are unlikely. However, people with high skin sensitivity to products with acid may experience irritation or itchiness. To make sure that you don’t encounter any negative reactions, use Mario Badescu Glycolic Foaming Cleanser as per the advice of your dermatologist. This skin cleanser, based on positive feedbacks, appears to function efficiently to those people who have oily skin or those who are prone to acne. This is because it contains glycolic acid that can efficiently get rid of oil, dirt, makeup residues and other bacteria. In addition, it is able to address slight skin discolorations that can leave the skin more beaming. Nonetheless, users also need to be aware that regular use of this product might cause skin dryness. That is why it is recommended that you only use this 1-2 per week. You can increase use to 2-3 times weekly if your skin is super oily. A Product Review of Cellucor C4 Ripped: Is it Harmless and Efficient? A Product Review of Glucerna Shakes: How Harmless and Efficient is this?